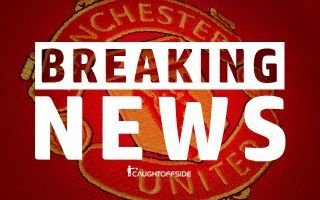 One of Manchester United’s out of favour stars is edging closer to a move away, after a disappointing spell in Manchester it looks like its time for the ace to get his career back on track, elsewhere. According to Gazzetta dello Sport in Italy, Juventus have agreed a deal with the Red Devils for full-back Matteo Darmian, the move would initially be a loan for a fee around €4m. Darmian has only featured six times for United this season and now may be the best time for the club to gain back some of the £12.7m they paid for the Italian, as per BBC Sport. The deal can be done but it could become complicated given Darmian’s contract situation. Manchester United still hope to receive a transfer fee for Darmian in the summer. Any loan deal with Juventus will include a purchase option. United still retain, and will likely execute, an additional year option on his current contract, which expires in June, to assure that. According to calciomercato, Juventus will look to sign Darmian for a fee of €11m once his loan expires. Juventus will be parting with a combined €14m to land Darmian, this seems quite outlandish for a player whose contract will expire in 18 months once a one-year extension is triggered this summer. United are certainly driving a hard bargain.